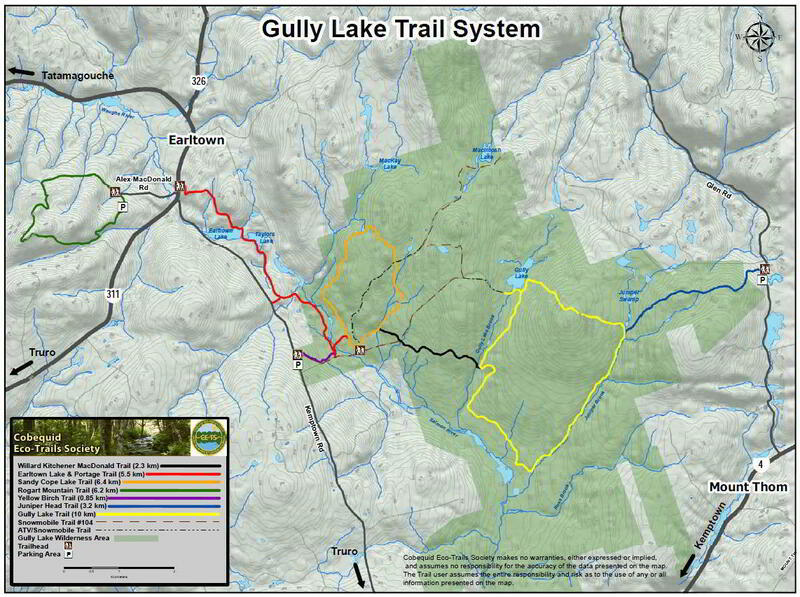 Information Hikers are advised to read and consider the Cobequid Eco-Trails Society's Trail Users' Checklist before heading into the Gully Lake Wilderness Area. This trail is a linear 2.7 km hike with "moderate" difficulty. The surface is soil/footpath; hikers are to follow the path and trail markers. Permitted uses for the trail are hiking, snowshoeing and backcountry skiing. 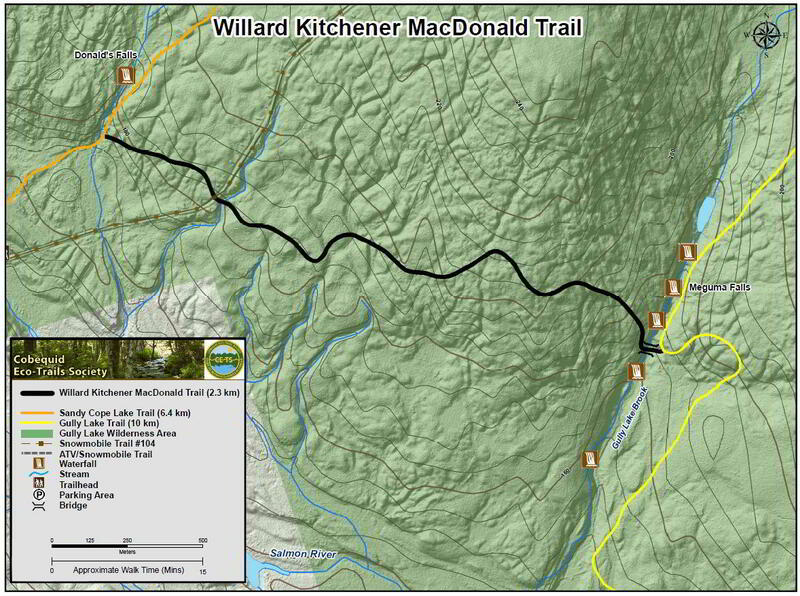 Access to the trail can be found via Yellow Birch Trail, which is located at 1734 Kemptown Road. The trail starts approximately 2 km from this entrance. Click images to enlarge (opens in new tab). Fundy Connect is your direct route to recreation for communities in Colchester, Cumberland, and Sipekne'katik, Nova Scotia. Suggest a New Record or Event for the guide.